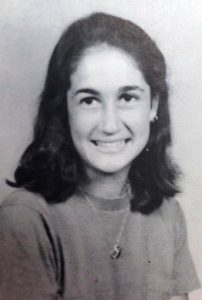 On September 17, 1979 at approximately 9:00pm, 19 year old Oberlin College student, Carol Gandelman was riding on a bicycle back to her Keep Cottage residence after picking up groceries at Gibson’s Bakery. Gandelman was struck by a vehicle on North Main Street near Langston Middle School. Gandelman was severely injured and died five days later. Witnesses report the vehicle which struck Gandelman continued northbound on North Main Street before possibly turning eastbound on Walnut Street where sight of the vehicle was lost. The suspect vehicle was described by the witnesses as a large green American made car with square shaped lights. A witness who resided on North Main Street recalls hearing the crash followed by a loud, excited voice coming from the front of his residence stating “she just came out of nowhere, let’s get the hell out of here”. The witness further described the voice as that of a white male, teens to early 20s in age at the time of the incident. Officers thoroughly searched the area and the vehicle description was given out by media outlets but the suspect vehicle was never located. If you have any information, please contact Patrol Officer Wiley at the Oberlin Police Department by phone (440) 774-1061, or e-mail at bwiley@oberlinpd.com. All information will remain strictly confidential. On November 2, 1962 at approximately 1:25pm, 77 year old Windom Durham was found dead in his 249 Lincoln Street residence after a neighbor requested a welfare check due to suspicious conditions. It appeared Durham was severely beaten and had been bound and gagged during a robbery inside of his residence. The time of death was determined to be approximately 8:00am on November 2, 1962 by asphyxiation. Durham was last seen alive by neighbors at approximately 2:00pm on November 1, 1962. Immediately following the incident, several individuals were interviewed but nobody has been arrested or charged with the murder of Windom Durham. 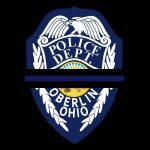 If you have any information, please contact Patrol Officer Wiley at the Oberlin Police Department by phone (440) 774-1061, or e-mail (bwiley@oberlinpd.com). All information will remain strictly confidential.